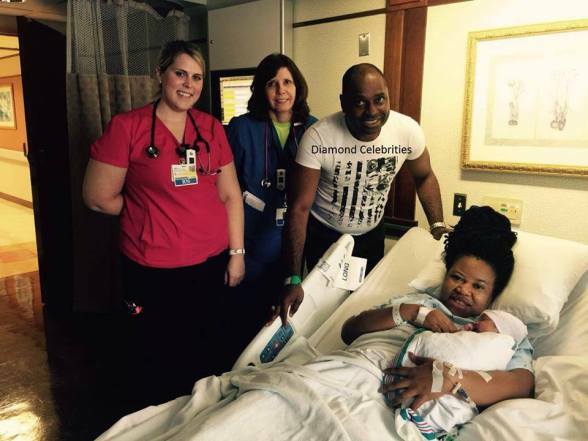 The family of Nollywood actor, Kenneth Okonkwo and wife Ifeoma delivered a baby boy on Saturday, May 6th 2016. They had their baby at The University of Maryland, St. Joseph Medical Center, USA after almost 9 years of marriage. In a chat with Diamond Celebrities, the actor said, “God is a faithful God. He said we shall be fruitful and multiply, that there shall be none barren in our midst and He just fulfilled His words. To Him be all the glory in Jesus name”. He also thanked all those who stood by them and offered prayers to God on their behalf. Congratulations to the entire family!